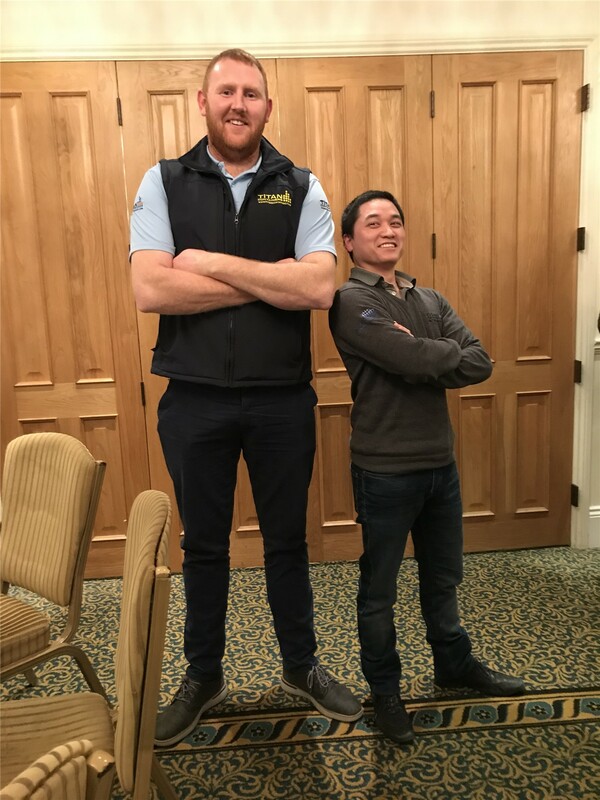 At last week's TITAN Marketing meeting the "Little and Large" of TEAM TITAN were caught togther. "The large" is John Bridges, the recently promoted TITAN country manager Ireland. "The little" is Thomas Bui our country manager in France. The same birth date. Both were born on precisely the same day!